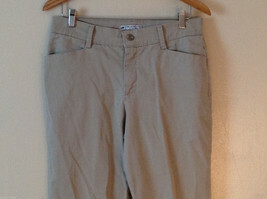 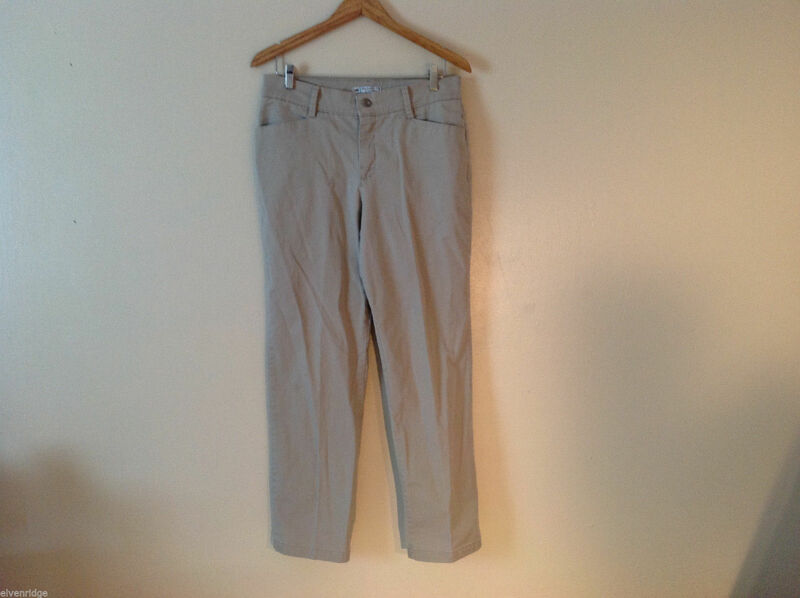 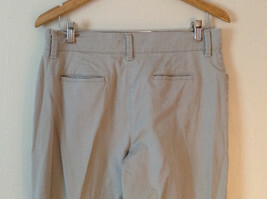 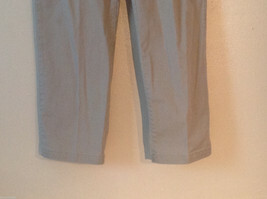 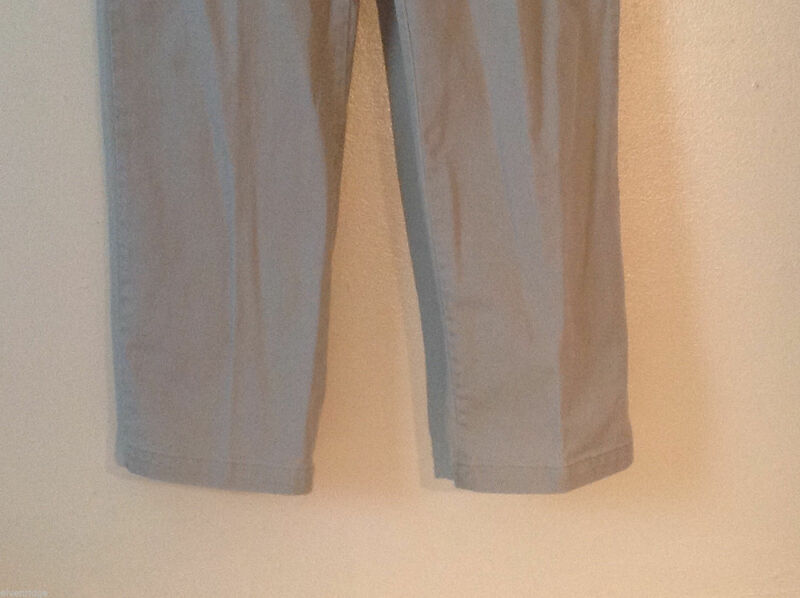 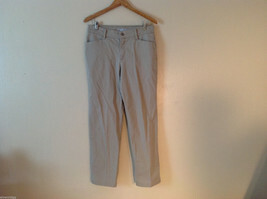 This is a pair of Lee women's size 12 medium khaki twill pants. Crafted from a 99% cotton, 1% spandex blend, these pants feature a straight-cut leg, front and rear pockets, and a lower rise. Please carefully check the following measurements to ensure that the fit is right for you! 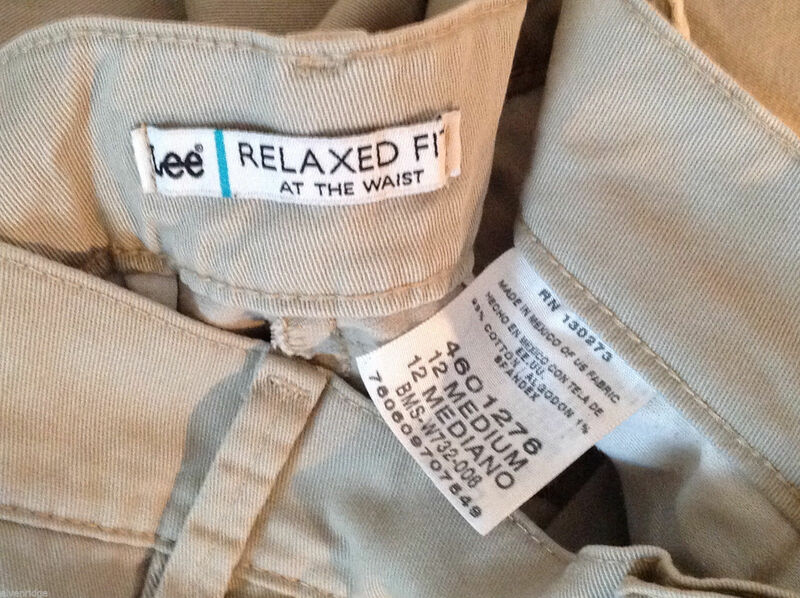 Waist (measured across the front, side to side, with garment laid flat): 15"
Rise (measured from inside crotch seam to top of waist): 11"